Block B in the Tunisian Crochet Along is done in the Tunisian Crossed Stitch. It’s slightly more tricky then the Simple Stitch we did last week, BUT it is still easy to do. If you haven’t joined the CAL it isn’t to late! The total cost, including a basic hook, can be around $30 depending on what yarn you pick and the blocks work up quite fast! So don’t let time or cost stop you. If you can afford it, I do love the Denise Crochet set! (You can see them on the link in my right sidebar.) You can buy a basic metal afghan hook at most craft stores, or Walmart. They cost about $3-5. This video I did will show you exactly how to do this stitch, AND I show you two different ways to end your squares. The blue yarn used is “Bright Blue” from the Nicole Studio Classic yarn from AC Moore. The Hook is from my Denise Crochet set, which is the “Bright” colorway. Special thanks to my husband for filming! Here is an example of my finished square. 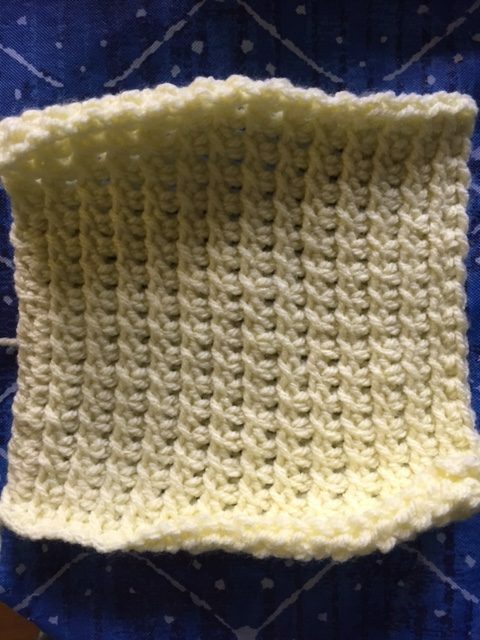 The color is Soft Yellow in the Nicole Studio Classic yarn from AC Moore. 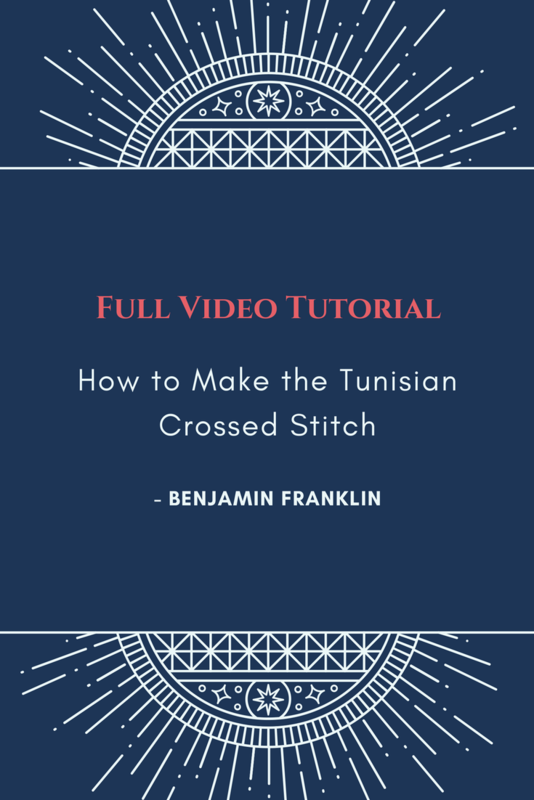 If you are working along with me I’d LOVE to hear about your experience so far and how you are feeling about Tunisian Crochet! If you’re not joining in I’d still love to hear from you anyway! 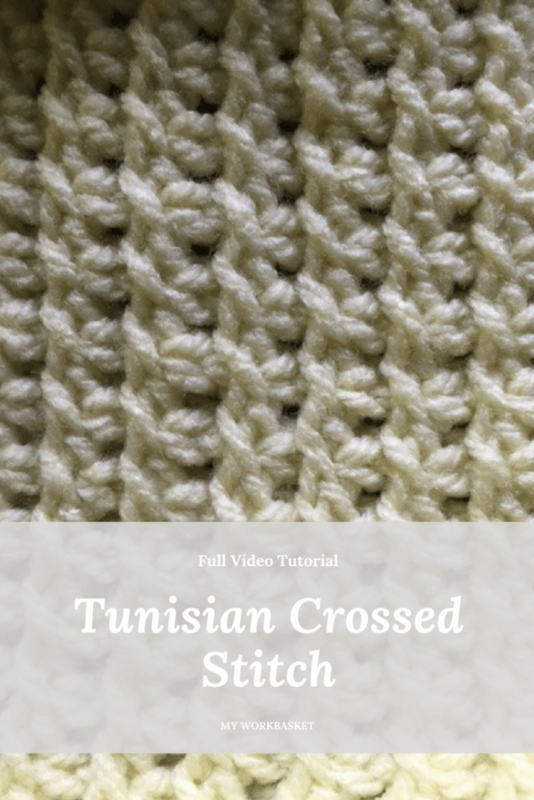 Have you done Tunisian Crochet before? As always, if you have ANY questions, comments, or concerns I’d love to hear from you! You can comment below or contact me directly with the contact me page. 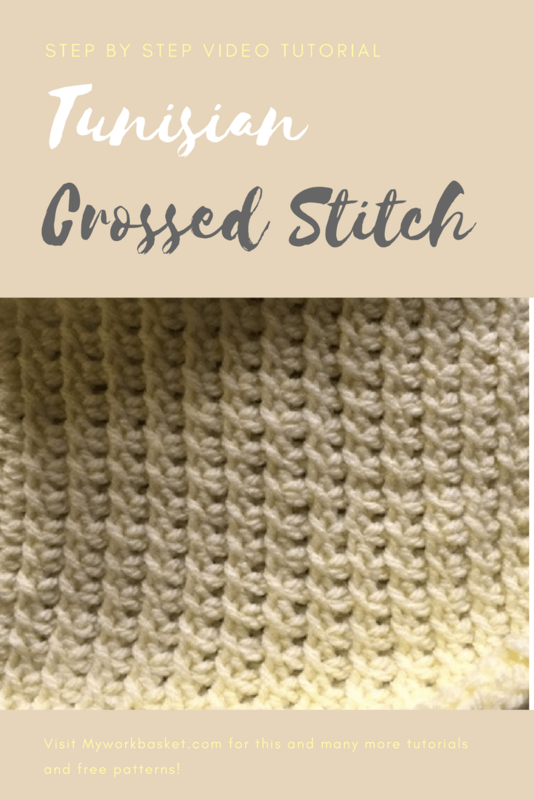 I really enjoyed the simple stitch and it was really easy. I like how you can count along and check for mistakes before you move on – a problem I have had in the past! I am working up two sets of blocks so I will have two gifts! I was debating doing two sets of blocks as well! I started with that spring type color palette, but I’d love a bright one. I like that you can count your stitches too!